Wow! You’re reading this. That means it's April tomorrow, and I’ve finally done something I intended to do in January. I’ve posted a response to a blog prompt from DIYMFA.com. 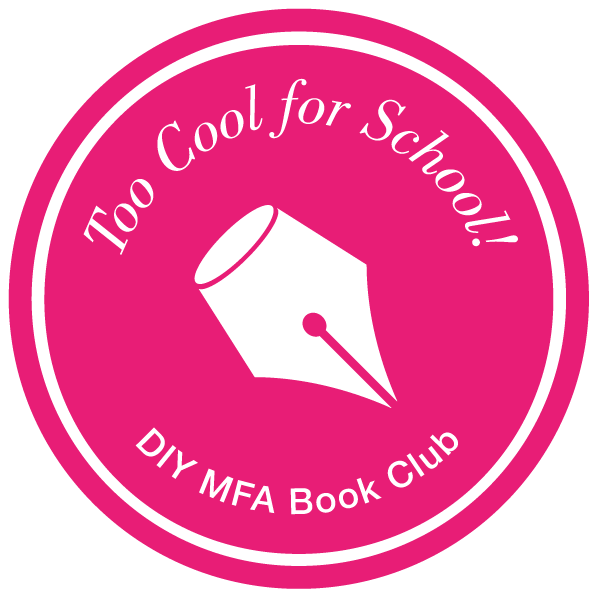 DIY MFA is a place for writers to take online courses, to connect with other writers, and to get guidance about writing, publication, and marketing. Gabriella Pereira, the founder of DIY MFA, wrote a book to go with her website. At the start of 2018, she hosted the online club inspired by the book. As a member of the club, I received two blog prompts each week in my email. I began to respond to the prompts, then chickened out about publishing what I wrote. I’m going to blame this prompt for freezing my posting hand. The question you see at the top of the post doesn’t make me squirm too much. It’s asking about the process that led me to become a writer. It asks “how” not “when.” My struggle began because the full prompt, while beginning with the question above, later introduces the concept of a “zero moment”—the moment a person decides to become a writer. The "zero moment" concept trips me up. I can’t pinpoint one moment when I decided to become a writer. I remember imagining that historical figures stood at the foot of my bed. They told me about whatever aspects of their lives would interest a five, six, or seven-year-old. I’m throwing ages into cyberspace because my earliest memory of these nighttime imaginings must have been before I moved out of commuting distance from Washington DC. Before the move, my parents used to take me to the Smithsonian museums on weekends. These trips sparked my imagination. My life with cerebral palsy did, too. When I was five, six, or seven I also made up stories about a girl with a cerebral palsy. I didn’t write the any of these down. They were a way of coping with my increasing awareness that I was different than other kids my age. It must have been awesome to imagine someone like me being called to adventures. I was seven when we moved from the DC area. My new elementary school in Iowa had a writer’s club that met in the library before school. I know that I wrote during club meetings. So, if the definition of a writer is someone who writes narratives down, then using a notebook and a pencil at writer’s club made me a writer. Yet a creative writer does so much more than put words on a page. She tells stories—or gives herself over to stories that want to be told. By giving herself over to a story, she leads multiple lives — multiple“real” ones. My stories are real long before I ever write them down. I was a storyteller before I was a writer. Unlike technical writers, storytellers aren’t objective. Storytelling is about making a unique experience universal. (I’m getting this definition of storytelling from somewhere, but I don’t remember where. Thanks to whoever said or wrote it first.) Making a unique experience universal requires the storyteller to interpret events, to uncover their emotional meaning, and to share that meaning with someone else. Sometimes that someone is characters and an audience. Other times, there is no audience, only characters. The story forms in the storyteller because she was inspired to give her beliefs, dreams, and experiences new meaning through the journeys of characters. When a storyteller shares an experience with a character and records that sharing, she becomes a creative writer. I did — in writer's club. Writer’s club took me from a storyteller to creative writer.